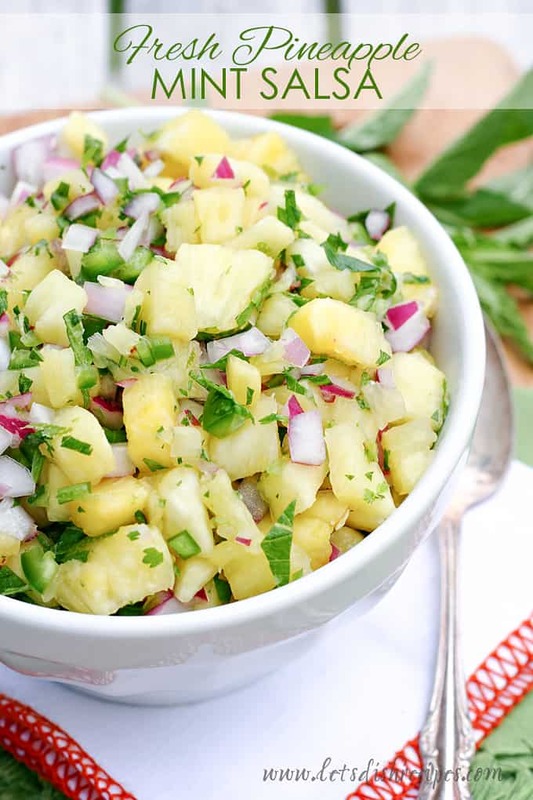 RAINBOW PINEAPPLE SALSA — Loads of colorful vegetables combine with sweet, fresh pineapple and lime juice in this refreshing, colorful salsa. There’s nothing I love more than a delicious, fresh tasting salsa, and this Rainbow Pineapple Salsa is loaded with amazing color and flavor. 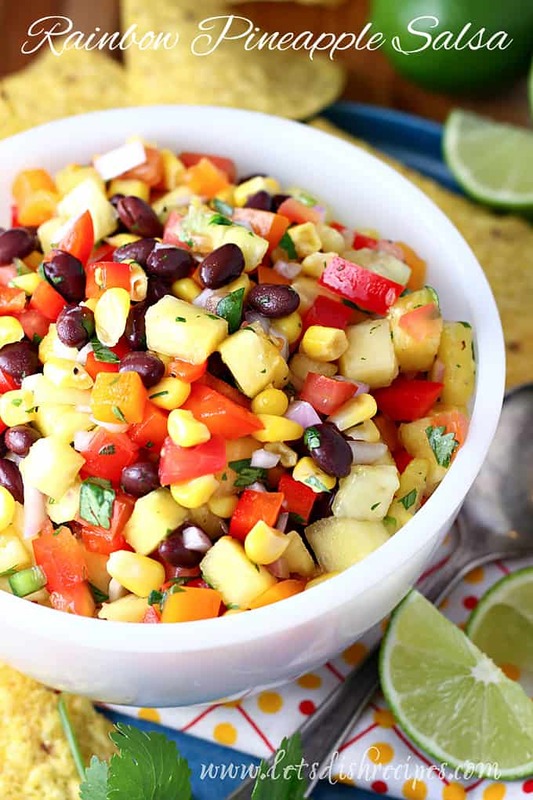 Along with the fresh pineapple (and I really do think fresh pineapple makes all the difference in this recipe), this salsa features tomatoes, corn, black beans, bell peppers, jalapeno, red onion, and cilantro. Which pretty much covers all the colors of the rainbow. Well, except blue….I’m still working on that. But if I figure out a tasty way to incorporate blue, I’ll update the recipe. The point is, this salsa is colorful and it tastes fantastic. All you need is a bag of tortilla chips and you’ve gone the perfect summer snack or appetizer for your favorite Tex-Mex meal. One reason I love salsa so much is that it’s almost always a healthy, low-fat snack. As long as you don’t go overboard on the tortilla chips, that is. Lots of appetizers are loaded with fat and calories (and I confess, I love them all), but not salsa. 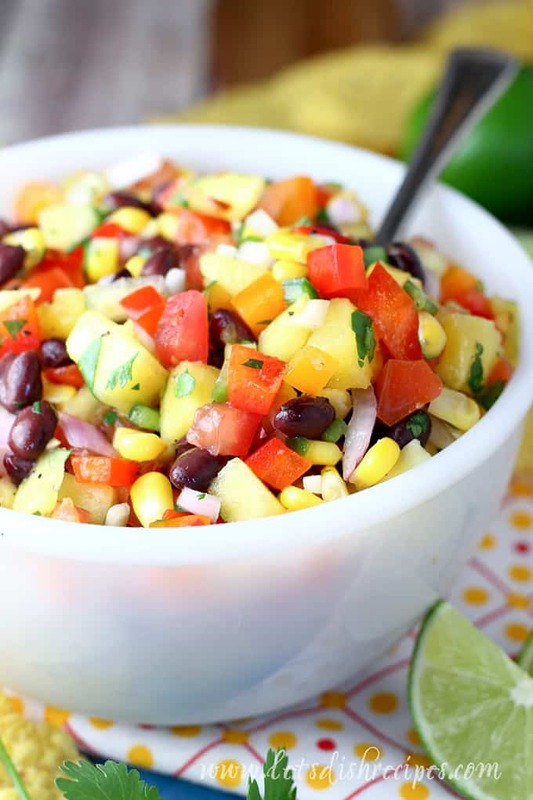 I can’t think of a tastier way to eat my fruits and veggies than this Rainbow Pineapple Salsa. And with the addition of black beans, you even get a boost of protein. In fact, I’ve been known to just forget the chips and eat this stuff with a spoon. Kind of like a salad. Which makes it even healthier! This recipe–like most fresh salsa recipes–is very forgiving, so feel free to make adaptations to suit your tastes. Personally, I like to add extra pineapple, and sometimes I leave out the tomatoes since I have few children who just can’t abide them. 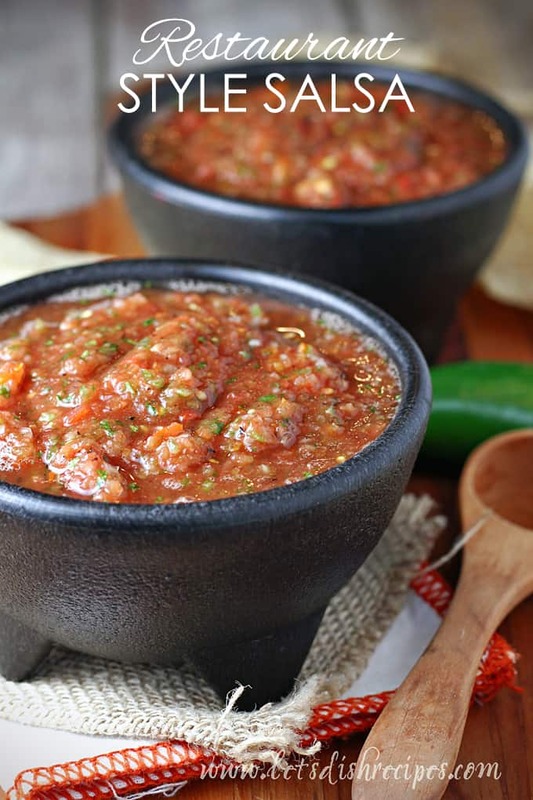 If you’re a salsa lover like me, then you’ve got to try this recipe! I hope you love it as much as I do! 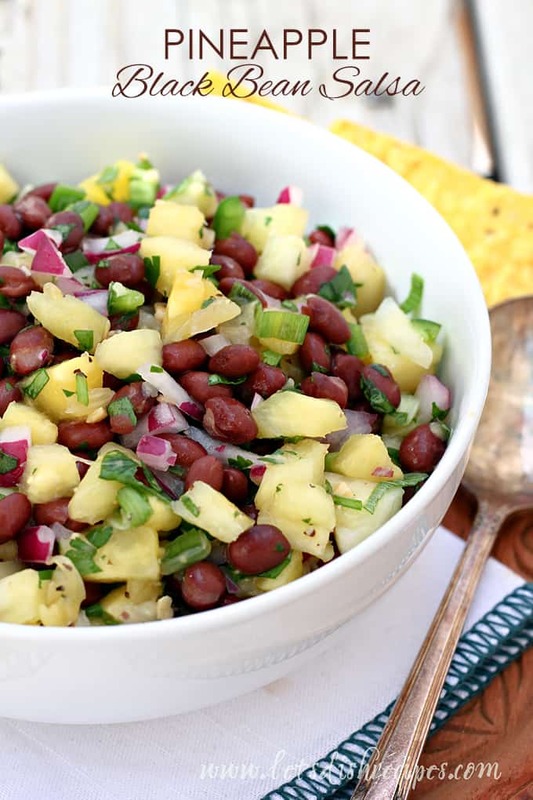 Be sure to save this Rainbow Pineapple Salsa recipe to your favorite Pinterest board for later. 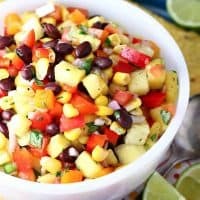 Loads of colorful vegetables combine with sweet, fresh pineapple and lime juice in this refreshing, colorful salsa. In a large bowl, combine all ingredients and toss to coat with lime juice. Cover and refrigerate for at least one hour before serving. Serve with tortilla chips. Who Dished It Up First: Adapted from Julia’s Album.